In just the past two years, Louis Bell has emerged as one of the hottest writer/producers on the pop chart. He co-wrote and co-produced a remarkable three hit singles that are currently in the Top 10 on the Billboard Hot 100 chart: “Havana” (by Camila Cabello feat. Young Thug), “Rockstar” (Post Malone feat. 21 Savage) and Post Malone’s new hit, “Psycho.” He also co-wrote another hit on the charts: the Top 20 hit “Wolves” by Selena Gomez & Marshmello. 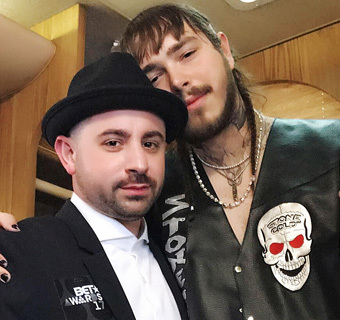 Bell has become the main collaborator for rapper/singer Post Malone. He co-wrote seven songs on Malone’s double platinum album, Stoney, and he’s co-written several songs for Malone’s upcoming album, Beerbongs & Bentleys. 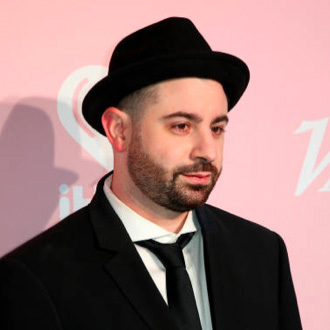 Besides “Rockstar” and “Psycho”, he co-wrote Malone’s Top 10 hit “Congratulations“ and the chart singles “Candy Paint” (from the Fate of the Furious soundtrack) and “Déjà Vu.” In addition, he co-wrote Malone’s new single, “Psycho,” which has just been released. Bell was born and raised in Boston, MA, and he ran his own studio and produced local artists for 10 years, before he moved to Los Angeles in 2013. He started to have success as a writer & producer in L.A., and he had his first big hit in 2016 with “Let Me Love You” (DJ Snake feat. Justin Bieber). Besides the artists listed above, Bell has also worked with Lorde, Khalid, SZA, Steve Angello, Kris Wu, Travis Scott, Kygo and ODESZA. Bell is managed by Austin Rosen of Electric Feel Management and he’s signed with Sony/ATV Music Publishing. We are pleased to do this new Q&A interview with Louis Bell. He tells how he collaborated on hits with Post Malone, Camila Cabello, Justin Bieber and Selena Gomez. DK: How did you get started as a musician and songwriter? Louis Bell: I grew up in Boston, and when I was 13, I started taking piano lessons. Then years later, when I was senior in high school, this (software) program called Fruity Loops had come out. So I just started messing around with making beats, and I was actually rapping at the time. Through this process and having had some piano lessons, I started to teach myself music theory online, with Wikipedia and YouTube. I just learned how to make beats and make my own songs, and I eventually opened up a studio in Boston, which was my form of income. I worked on getting my production up to par and recording all the local artists there. DK: When did you decide to move to Los Angeles? Bell: After working in Boston for 10 years, I began working with a rapper named Mike Stud. He’s from Rhode Island, but he actually worked at a studio in Los Angeles, because his manager was there. One day he said, “Hey, do you want to make an album out in L.A.?” We had been working together, and he felt like we were a good match. So he brought me out to L.A. in 2013, and then I started meeting people, and I never looked back. DK: When you were in L.A., was your first hit “Let Me Love You” by DJ Snake & Justin Bieber? Bell: Yes, that would be the first significant hit. I had some smaller songs that came out prior to that, but “Let Me Love You” was the first big song that I was involved with. DK: How did you hook up with DJ Snake and Bieber? Bell: I had been working with a friend of mine, a fellow musician & producer named Andrew Watt. I’d been working with him on his artist project, and he also wrote and produced. Andrew had a connection with Justin, and we had another friend, Nick Audino, who knew DJ Snake. Originally, “Let Me Love You” started with me, Andrew, Brian Lee and Ali Tamposi in the room writing, and we’d started a rough version of the song. And then Andrew had gotten the song to Nick, and then Nick played it for DJ Snake, who loved it. He put a whole new beat around it. But then the song just kind of sat around; we weren’t sure what we were going to do with the song. Then fast forward a year later—Andrew had connected with Justin Bieber, because Justin had liked the song, although he hadn’t cut it yet. So then Andrew played Justin [the new version] with DJ Snake’s beat behind it, and then they cut it within a week. And shortly after they put “Let Me Love You” out, it was kind of magical the way it fell together. It was definitely a process that took a year, but it was totally worth it in the end. DK: You’ve had tremendous success with Post Malone. How did you connect with Post? Bell: I met Post Malone’s manager, Dre London, through my manager, Austin Rosen. Dre brought me up to the studio house that Post was working in. I went up there with producer Frank Dukes, so Frank had played Post the rough beat of the song which became “Déjà Vu.” Then Post had laid down his parts with me, and I helped him structure the song and put it together. And then several weeks later, we were in the studio with Justin Bieber, and he heard the beat and said, “Oh, let me jump on that.” So we got all of Justin’s parts, and I had Post go in and finish the song and put it together…structure the melodies and all that stuff. And that was the first song that me and Post did together on the writing side. The first song I had done with him on the production side was called “Yours Truly,” which became the last song on Post’s album, Stoney. That was the first time Post had heard my beats, and that kind of built a relationship up to where he said, “Oh I love your beats, let’s work on more stuff.” So I helped him finish his Stoney album, playing him different beats, and “Yours Truly” was one, and there’s a song called “Patient” on Stoney, which I produced. We ended up working on 8 or 9 songs that I had co-written with him. This was from December 2015 all the way until the album came out in December 2016. DK: The two biggest hits you’ve had with Post Malone are “Congratulations” and “Rockstar.” First, how did “Congratulations” come together? Bell: “Congratulations” was with Frank Dukes and (producer) Metro Boomin—they had a session planned with me and Post. Metro was on the phone with Quavo (from the rap group, Migos) and he said, “Hey I’m in the studio with Post—would you like to come through?” And Quavo was like, ‘Yeah of course,” and about an hour later Quavo showed up and Frank had started to play the music to “Congratulations.” It was at the beginning of the song, where the music comes in with that little horn part. And Post says, ‘Yeah that sounds amazing.” And then Frank had given it to Metro Boomin, and Metro started putting drums around it. They got a little skeleton worked out, and then Post went into the (vocal) booth. Usually when I work with Post, he’ll lay down probably 15 minutes worth of melodies, and then we’ll piece it all together into a song. And that’s what we did—the “Congratulations” chorus came out in the 15-minute freestyle that he did. Then we had the hook pretty much done, and we had everything structured. Then Quavo went in and did his second verse, and the next day me and Post finished all the lyrics and tightened everything up, and it all came together. So that was the “Congratulations” process; it was pretty much a two-day process, which is very short. Usually, you can have a song for a month and not be sure about everything. But with Post, he’s so decisive—he just knows who he is, so it just makes the whole thing so much smoother. DK: How did you write “Rockstar” with Post and the other writers? Bell: For “Rockstar,” Post was on a little tour; he was in New York and that’s where he connected with the producer, Tank God. And so he went in the studio, and Tank God played him the beat, and Post did his regular process—he went in the booth for 15 minutes and sang a bunch of melodies. Then he came out of the booth, and he knew how he wanted to piece it together. There were three melodies that he liked: the chorus melody which was already kind of done…he already had the lyrics for the chorus. And then he had the verse melody and the pre-chorus melody. Post then sent me a little video through a phone. He said, “Oh this is what I did in New York—it’s very rough but I think it’s a smash.” And I was like, “Well that sounds amazing…I can’t wait to finish this.” So then Post came back a few weeks later and we got in the studio and we worked on the song, which was still in rough form at the time. We got the lyric right and got the beat right, and we just added a bunch of stuff. Post had mentioned that he wanted (rapper) 21 Savage on it. [In the meantime] I’d made sure the production was right, and the song was right. Then about two months later, Savage got his verse done, sent it to us, and we put it on the song. And then the label ended up putting “Rockstar” out about four weeks later. DK: As a writer/producer, what do you feel is your main strength? Is it creating the beats, working on the tracks and doing production? Bell: I would say my strength is doing whatever it takes to make sure that the song is right. So that could be the structure, or it could be adding a melody because melodies are probably my biggest strong suit. And then when it comes to lyrics, I like to know what the artist wants to say first, and I just go in and kind of help find the right words or fix certain words. I honestly like the artist to come up with the words as much as possible, because they’re the artist…that’s their voice. With producing, I make sure that the production suits the song. I never want the production to be distracting or take away from the song, or make the artist feel like they’re getting swallowed up by the beat. I always want to make sure everything is as minimal as possible. And then, if we want to add all these crazy moments we can do that, but it will never take away from the basic song. DK: Currently, you also have two female pop hits, “Havana” (Camila Cabello) and “Wolves” (Marshmello & Selena Gomez), which you wrote with Ali Tamposi, Brian Lee and Andrew Watt. First, how did “Havana” come together? So I just came in and told them what I would do, and Frank gave it a session and let me tweak some things. And then we went through melodies and we talked about pre-chorus stuff, and things to do on (rapper) Young Thug’s verse, because he had cut his part as well. And then we had a trumpet player come in and put that whole thing together. And so with that particular process, I was brought in after they had started the song. It was definitely a good process, because I was able to come in really clean and hear the song fresh. So once we were done with it, we all felt really good about it. DK: You ended up working with Camila on several songs for her album. Bell: Working together with Camila and Frank (Dukes) on her album was definitely a great process, because you’re building trust with an artist. With Camila I was like, “Wow she’s amazing, she’s decisive—she knows what she wants to do and who she wants to be. “Havana” was the first song we worked on, and after that Camila was like, “Oh I’d love to work with you on everything.” So you know, Frank was overseeing the whole project, and I became another instrumental tool in that, to help pull that album together. DK: I also like your hit, “Wolves.” Can you talk about this song? Bell: With “Wolves,” Ali (Tamposi), Brian (Lee) and Andrew (Watt) and I had already done “Let Me Love You” together, and then we wanted to get together and do some more writing. “Wolves” was a song that we all got together and did on guitar. [As it turned out], the song was kind of sitting around…we had it in the same form as “Let Me Love You,” where we knew we wanted a DJ to do it, and Andrew had some ideas about it. So a year passed, and Andrew Watt and Marshmello had built a relationship. They were doing songs together, and Andrew played Marshmello our little demo of “Wolves,” and Marshmello loved it. Also around then, Andrew had been working with Selena Gomez on some ideas, and he played her “Wolves.” She loved it, and Andrew connected Selena and Marshmello and us together, and we finalized everything. So that was another fun process. It was definitely a blessing to be a part of all that.